The story of TrioTaus began on September 16 1984, when Liv Hilde´s father called his best friend, Torun‘s father, announcing his baby girl had come into this world on Torun‘s very first birthday. 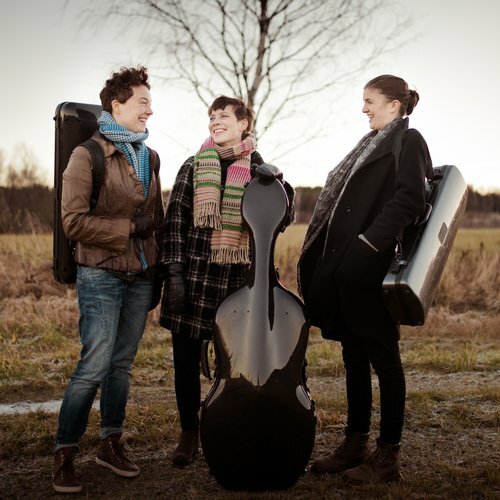 Our first memories of each other are running around, fighting together against our older siblings, hiking in the Norwegian mountains, and then starting a string quartet at 10 and 11 - winning the 3rd prize at the Trondheim Intl String Quartet Competition 2000. And here starts our encounter with Ida, who won the 2nd prize in Trondheim with her string quartet. For many years the three of us played together in different constellations, and the idea of string trio playing came up. As it turns out, we are simply unable to keep our hands of the string trio playing - we are so immensely inspired by each others playing, humor, cooking and from spending time together, and started TrioTaus in 2016. Their first year as a string trio has been greatly dominated by two giant works: Bach´s Goldberg variations and the Mozart Divertimento in E flat, which we have performed together with a selection of his letters. It is also the the spine of our concert journey for children, «little Mozart». In June 2017 we will record the Divertimento for 2L. Liv Hilde Klokk playes a Tomas Balestrieri violin from 1759, Ida Bryhn playes a Grancino viola fromca 1665, Torun Sæter Stavseng playes a Gofriller cello from 1725. TrioTaus` instruments are generously on loan from Dextra Musica.